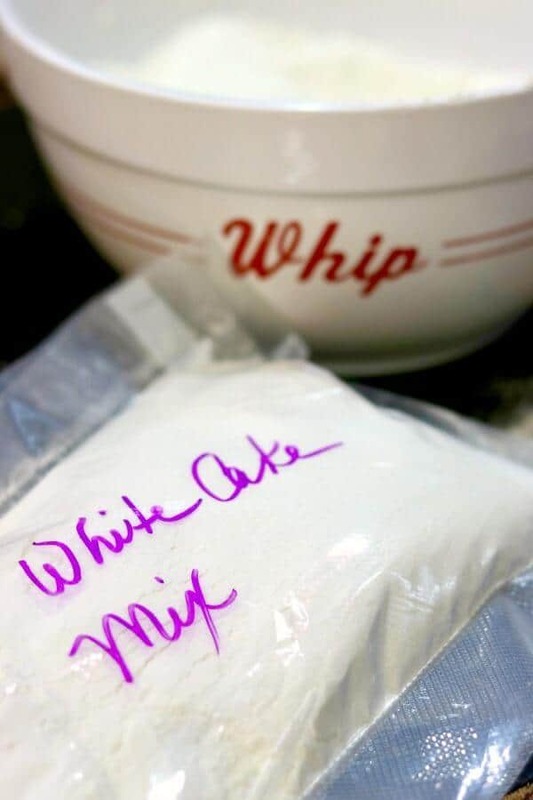 This homemade white cake mix is easy to mix up and it will stay fresh for several months on your pantry shelf. 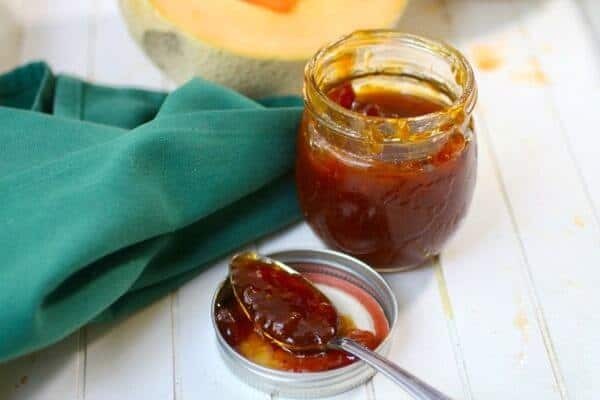 Not only does it save money and taste great but you’ll know everything that goes into it! With just a few ingredients you can stir up a homemade cake mix recipe in minutes. You can even use it in any recipe that calls for conventional cake mix, like this cute Jello Poke Cake! I don’t like cake from cake mix very much. There are a ton of reasons but the main one, for me, is that you really don’t save that much time. I mean, seriously, you save about 3 or 4 minutes because you don’t have to measure the dry ingredients. Whoo. But, I’ll also admit that sometimes it’s just nice to dump the contents of a bag into the bowl, add eggs plus oil plus water, and wave your magic wand over the gooey batter which then forms into a tender, yummy cake. If you don’t have the magic wand you might have to put it in the oven and it might take a little longer but the results are the same. I’ve said before that I wasn’t allowed to cook or bake in my mom’s kitchen because I was too messy. I don’t blame her because I really am super messy… but the one thing she did allow was a one layer cake from a mix. No frosting, mind you, just the cake. Since most of my messes are made in the process of measuring a cake mix kept the kitchen sparkling clean and satisfied my need to bake. It was a win win situation! At least it was until I was making cake several times a week and we’d all gained a few extra pounds. At that point I was unceremoniously introduced to Dr. Stillman – a contemporary of Dr. Atkins with an even stricter diet plan. I pretty much stayed away from cakes of any type after that. Once I was a mom I realized that I not only enjoyed cooking but I had little time to devote to it. Cake mixes just didn’t fit my WWMID? (What Would Ma Ingalls Do?) mentality so I started experimenting with making my own mixes. This was long before the Internet, y ‘all. This was back in the day when if you wanted a recipe you had to buy a cookbook, check a cookbook out from the library, or tear the recipe from the magazine you were reading. Yes. It was the dark age of technology. Coming up with recipes that weren’t popular or in common use was nearly impossible so it meant a lot of trial and error. Mostly error. Eventually I came up with a couple of cake mix, bread mix, and other recipes that I liked. It’s funny to see the mix recipes similar to the ones I worked for months on so readily available on Pinterest. So this is my homemade white cake mix. It’s pretty basic and results in a somewhat dense cake that works well for anything a boxed cake mix will work for.You can add whatever clear flavoring you like to change the flavor up – I like a combination of almond and vanilla for a wedding cake flavor. I vacuum seal my mixes and keep them on the pantry shelf. I think this keeps them fresher longer than popping them into a cute jar but you do whatever works best for you. I’ve had mine last at least 6 months for sure – I lost one behind the Thanksgiving roaster pan and found it in May. 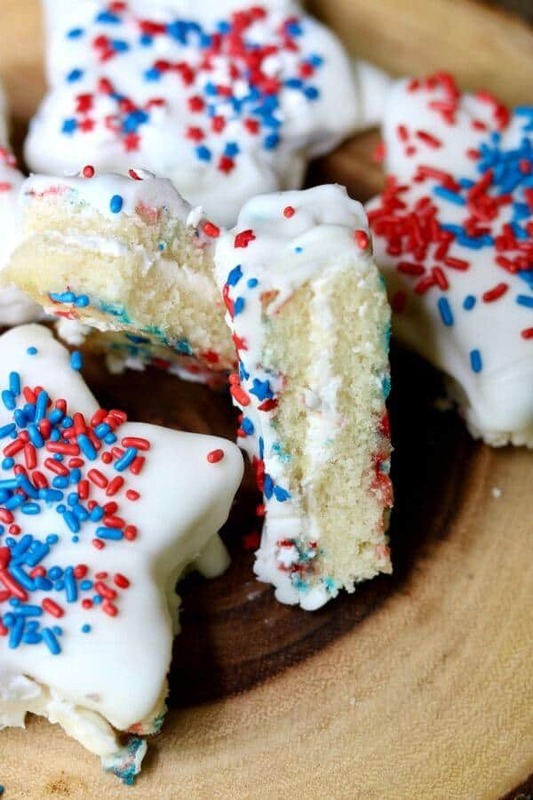 Make up a batch or two of this homemade white cake mix today because I have a recipe publishing on Monday for the Fourth of July that you’ll definitely want to make. A vacuum sealer is such a help! I use mine constantly and loved it so much I send them to my military sons once they move out of the barracks and are cooking on their own. Since the homemade white cake mix is a powder you’ll need to hit the seal button before all the air is pulled out or else it will just keep sucking out the flour. Vanilla beans can be added to your sugar to add more vanilla flavor to your baked goods OR you can add a vanilla bean right to the cake mix before storing and it will infuse the whole mix with vanilla flavor. Just remember to pull it out (and use it again) before you use the mix in your recipes. 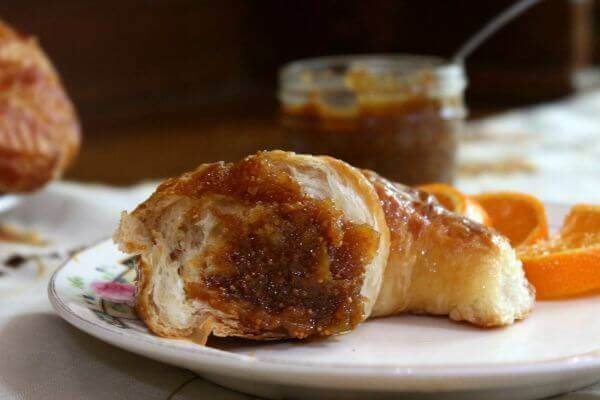 This is easy to make and will stay good, tightly sealed, on the pantry shelf for months. Use this homemade cake mix any way you’d use a commercial white cake mix. Easy, homemade white cake mix has buttermilk powder for an extra rich texture. 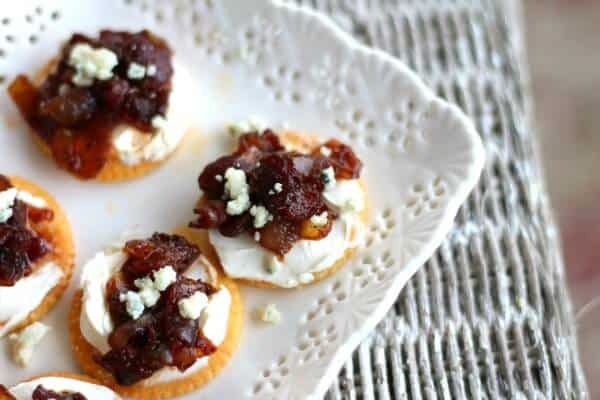 It's easy to make and stays fresh on the pantry shelf for months. This recipe makes 2 batches of cake mix - measure 5 cups per cake. Blend sugar in the blender for about 30 seconds to 1 minute. 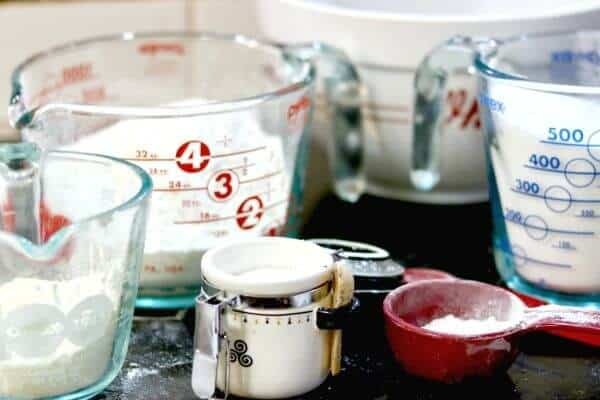 Measure 5 cups of cake mix into the bowl of a mixer. 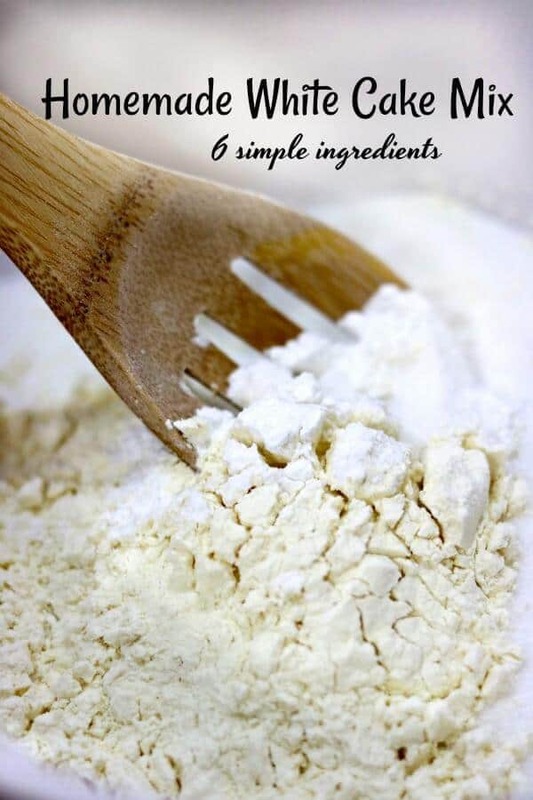 Add 1-1/4 cups water, 1/2 cup light vegetable oil (I use peanut oil since we don't have allergies), 2 teaspoons clear vanilla, and 4 egg whites (about 2/3 cup). Beat on low for 1 minute. Switch to high and beat for 2 minutes. Spoon into a greased and floured pan of choice and bake at 350F according to the chart below. 8″ or 9″ cake rounds — 20-25 minutes. Nutritional information is for the cake mix only... not the additional ingredient needed for making a cake. To make the cake, instead of water, could I use amaretto liqueur? If so, would i sub the entire amount of water for the equal amount of liqueur? If I want to make this but dont want to store it. CanI use Regular Buttermilk instead of the dry? The dont seem to sell it where I live? I have made my vanilla sugar 2 weeks ago and Im eager to make this cake.